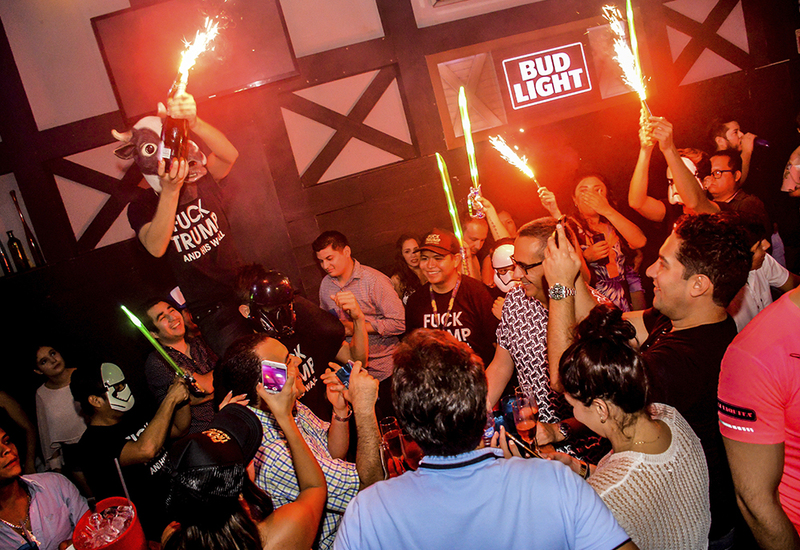 At La Vaquita you will live the wildest and craziest parties in Puerto Vallarta! 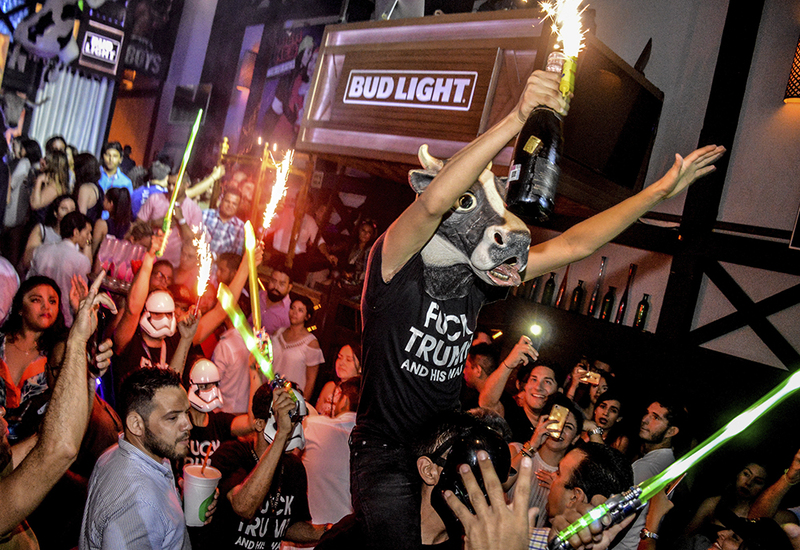 La Vaquita Vallarta is a super fun place, cow print decoration and litro-sized drinks are its main characteristics. Located at the pier of Vallarta, it is the ideal place to dance, as throughout the night you will listen to an interesting mix including Latin rhythms, hip hop, reggaeton and the hits of the moment. 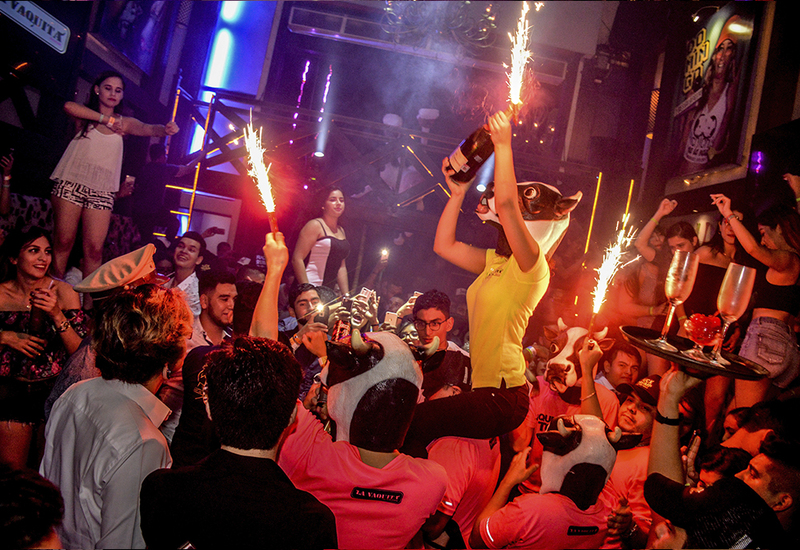 At La Vaquita Club there are no rules and no limits just fun! Wednesday | In the middle of the week nothing is better than 2x1 in “litros”, due to which you will not have to worry about your glass being half empty, it will always be full. Reserve your table or cover for La Vaquita Puerto Vallarta and take advantage of this promotion. Apart of calming your thirst, you will be able laugh about the occurrences of the staff. Sunday | One of the most flirtatious nights in town happens on Sunday at La Vaquita with its famous wet t-shirt contest. End the week with a great party! What are you waiting for? 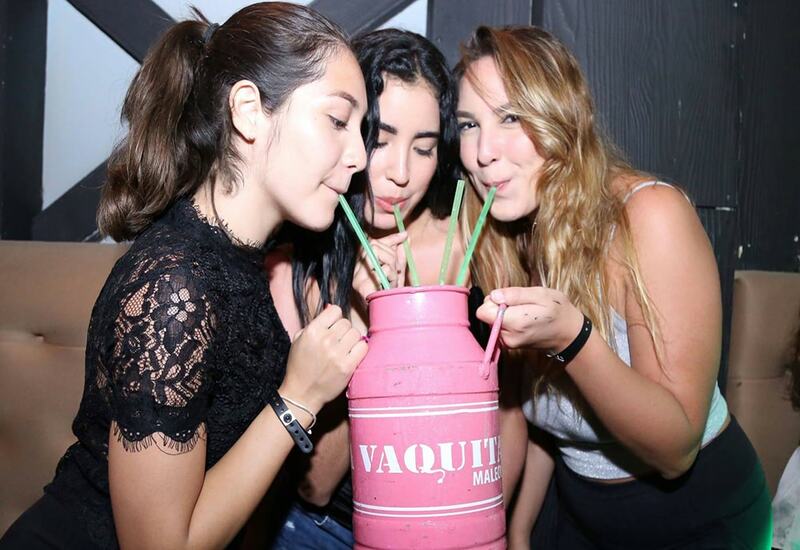 Reserve your open bar ticket for La Vaquita Vallarta today and celebrate like a professional.